Dinâmica Dinamarquesa is a project to encourage presenting and promoting the music scene of Denmark for the Brazilian public. The initiative serves as a bridge for mutual collaborations between artists of the two countries. In recent years Denmark has released new talents, representing a variety of styles, from jazz to rock, through electronic music, classical music and sound art. The Danish Dynamics project began in 2012, and has featured over 35 Danish artists in the Brazilian lands, and three Brazilian artists in new partnerships in Denmark. With an emphasis on jazz, sound art and electronic music, Dinâmica Dinamarquesa will support local producers in holding events in cultural centers, festivals and venues in Rio de Janeiro, São Paulo, Belo Horizonte and Brasília. The main partners for Dinâmica Dinamarquesa in 2014 is the Centro Cultural São Paulo, which is a major center of culture and leisure in São Paulo, always opening doors for upcoming or foreign artists, the curator Batman Zavareze, the creator of the festival of audiovisual performances in Rio de Janeiro, known asMultiplicidade, Savassi Festival in Belo Horizonte which is a pioneer in showing the jazz tradition and the producer Marcos Guzman, known for electronic events, especially the Green Sunset in São Paulo. With an increasing projection, jazz musicians and performers of electronic music and sound art in Denmark are showing their creativity and originality around the world. Several bands have been performing regularly throughout Europe, Asia and now in South America. Singers like Medina, Aura and Ida Corr are already doing quite successful in the United States, United Kingdom and Germany. 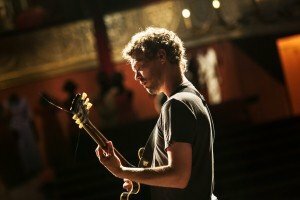 Artists like Trentemøller, Thomas Knak, Efterklang and guitarist Jakob Bro travel around the world producing music of highest quality. A name of sound art that sparked interest in the partner’s is Jakob Kierkegaard, whose work is already being seen in several countries. 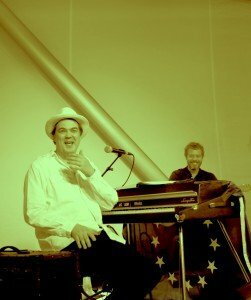 The project Dinâmica Dinamarquesa was created in 2012 from a collaboration between the Danish Cultural Institute and Rasmus Schack, with the participation of two music organizations in Denmark – Music Export Denmark (MXD) and JazzDanmark. In 2014, the focus has shifted to include the musical world of sound art and also for co-productions of artists from different languages. With this new focus the Danish institution SNYK, which develop the sound art and experimental music scene in Denmark, came into the project as well. Besides the financial support of SNYK, JazzDanmark and MXD, the project has funding by the Danish Culture Fund. 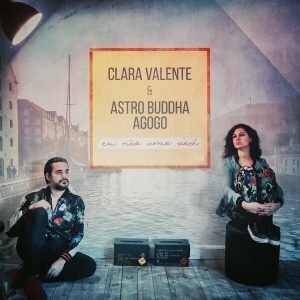 The idea for this artistic residency was a result of the musical collaboration started last year by Brazilian singer-songwriter Clara Valente and Danish jazz/soul instrumental band Astro Buddha Agogo, facilitated by the Danish Cultural Institute as a part of the project Musical Bridges. Among the aims of the residency was therefore the continuation and natural evolution of this collaboration. During their first time in Denmark, Clara and Guilherme also made connections with Danish jazz/brazz/blues/soul singer Kira Martini, and they all wish to explore this new collaboration.